This muzzle is great for top handlers, trainers, and other professionals to work with strong, forceful dogs. 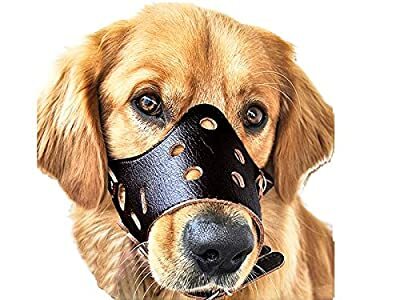 You are kindly suggested that do not let your dog wear muzzle for too long. Please measure your dog's snout to choose the correct muzzle size you need. It might be a little big for the thin and naughty dogs. After measure your dog¡¯s size, if you find 2 sizes available, please choose the smaller one. Please measure your dog's snout to insure this is the correct muzzle size you need(see the size map of the picture to get more detail).